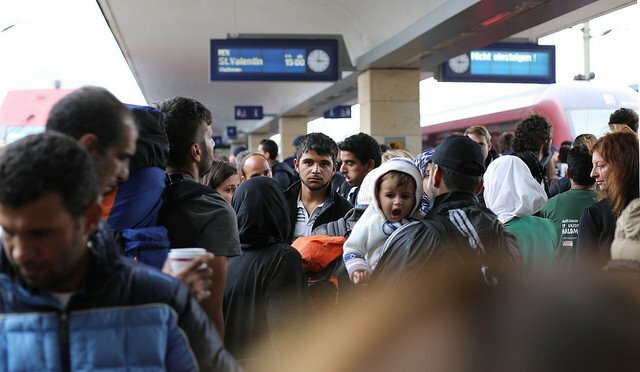 Traveling to Europe During the Refugee Crisis? European countries have recently introduced new border and transportation controls as they grapple with the massive number of refugee arrivals. As a result, a few travel routes between and within countries have become restricted. However, due to constant changes in policy and enforcement, current disruptions and delays in one locale may be resolved by next week, while new disruptions and delays may occur elsewhere. At the time of writing, travel restrictions were in place in a limited number of European destinations. If you’re planning a trip to Europe over the next few months, there are a few recent policy changes to be aware of and a couple of resources to turn to for the latest information on travel disruptions and delays. As one of the world’s top vacation destinations, Europe boasts thousands of attractions and activities sure to please the most discerning of travelers. Plan a trip to Europe that includes one or all five of the following coastal regions to discover some of the continent’s top beaches, museums, shops, clubs, and religious sites. Although you certainly can’t experience all of Europe’s amazing cultural, artistic, and culinary diversity in just a short one- or two-week visit, you can get to know at least a few of its grand cities. Add the following countries to your Europe itinerary, and begin to discover the continent’s staggering wealth of attractions. Home to an impressive 25 World Heritage Sites, the United Kingdom offers hundreds of museums to explore, thousands of parks and gardens to stroll through, and tens of thousands of colorful neighborhoods to discover. Nearly 30 million tourists visit every year, most of them heading straight for the big cities. Yet beyond the vibrant and noisy capital city of London, the country boasts countless rural gems, including ancient villages, churches, castles, royal palaces, and tranquil beaches. From Land’s End in the south to John O’Groats in the north, the United Kingdom offers a treasure trove of attractions that can fill a range of itineraries. See Buckingham Palace and Westminster Abbey in London, Windsor Castle in Berkshire, and Stonehenge in Wiltshire. If you’re looking for some romantic things to do in Europe, don’t miss visiting France, the world’s most popular tourist destination for decades. Geographically one of the continent’s most diverse countries, France boasts dozens of big cities and small villages filled with some of the greatest artistic and cultural treasures in the world. Gourmands will appreciate the country’s celebrated wines and cheeses, while culture vultures can devour French fashion, music, film, and literature. Start in Paris, arguably the most romantic capital in the world, a city of Michelin-starred restaurants and iconic landmarks like the Eiffel Tower and the Louvre. From there you can easily go sunbathing on the Mediterranean, skiing in the French Alps, or sightseeing among the historical castles of the Loire Valley. Even if Italy contained nothing more than Rome and the Amalfi Coast, it would still rank as one of Europe’s grandest destinations. Rome definitely lives in the present, yet few cities in the world evoke the past so powerfully, with ancient ruins easily recognizable from innumerable movie posters, postcards, and school textbooks. For thousands of years the world’s greatest artists, architects, and emperors made their home in the Eternal City, and you can still see their indelible mark in dozens of Rome’s art-filled churches, museums, galleries, public squares, and gardens. Visit the Colosseum, the Sistine Chapel, St. Peter’s Basilica, and the immense collections of the Vatican Museums. To perfect your grasp of the Italian “dolce vita,” include a few sun-drenched Tuscan beaches on your Europe holiday. Plan a trip to Europe without Spain and you’re sure to miss some of the world’s most dramatic landscapes. Though its Mediterranean coastline boasts some of the finest beaches on the planet, there’s much more to this country than just soft, sandy shores. Spain’s countryside is as diverse as its people, ranging from lush meadows and snowy mountains to huge marshes and sprawling deserts. Experience the timeless beauty of the country’s tiny fishing villages, as well as the old-world charm of its biggest cities. For world-class art museums jam-packed with masterpieces by Picasso, Goya, and El Greco, head to Madrid, home to the celebrated Museo Nacional del Prado. To discover a mix of pristine beaches and history-soaked streets lined with landmark buildings designed by architect Antoni Gaudi, include Barcelona in your Europe trip planner. Home of high culture, fine art, classical music, and award-winning cuisine, Germany is also the birthplace of some of the world’s best beers (and beer festivals). A major economic and political power on the European continent, the country remains a colorful patchwork of 16 states, each boasting its own culture, art, and regional traditions. Served by an outstanding road and rail network, Germany is one of the easiest European countries to navigate, its transportation systems famous for that quintessential German efficiency. Head to Berlin, Munich, Cologne, or Frankfurt to explore world-famous museums, modern restaurants, and trendy shops, and venture deeper into the countryside to discover ancient castles, deep forests, and lively little villages. Europe is so many things to so many people; it’s impossible to describe it in a single sentence, a single paragraph, or even a single book. It is also impossible to visit this land of dazzling tourist attractions and not become mesmerized by its scenic natural beauty, rich cultural heritage, and epic history. Visit Europe as often as you can, and find out what makes this continent the world’s most popular vacation destination.